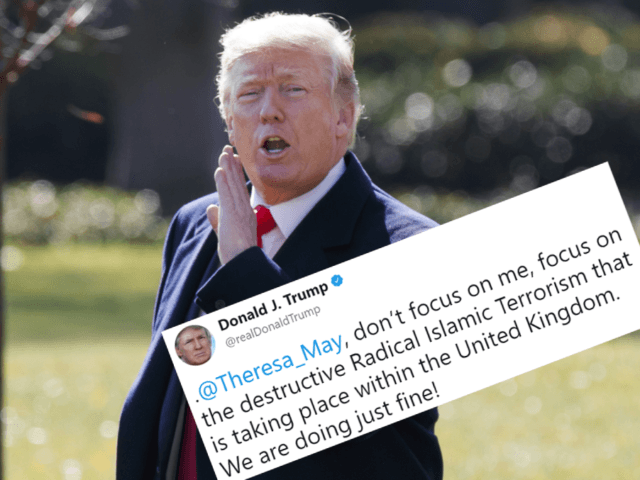 He was responding to the uproar in the United Kingdom following his retweet of three tweets from the “Britain First” group, which is a considered extreme in the United Kingdom. The first video showed a Muslim youth being thrown to his death by Islamic activists during 2013 anti-government rioting in Cairo, Egypt. The rioting took place after the military removed Egypt’s Islamic government, which was controlled by the Egypt-based Muslim Brotherhood. The alleged murderer, Mahmoud Ramadan, was hanged in 2015. A second video shows a Muslim destroying a Christian statue deemed by Muslims to be a false idol. Islamic law considers Allah to be the only deity and it bars worship of deceased people. That rule applies to people who are regarded as famous Muslims, including Mary, mother of Jesus, who Muslims say was a prophet before the final prophet, Muhammad. The video ends with the statue-smashing Muslim calling for “Takbir,” or an affirmation of Islamic faith. 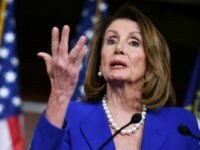 He gets the orthodox response, “Allahu Akbar,” meaning “Allah is greater [than your God],” which also means that Allah is the single deity supreme over all others, including Mary, the mother of Jesus. The remaining video is widely described as a fake. It shows a Dutch youth — not a Muslim — attacking another Dutch youth. 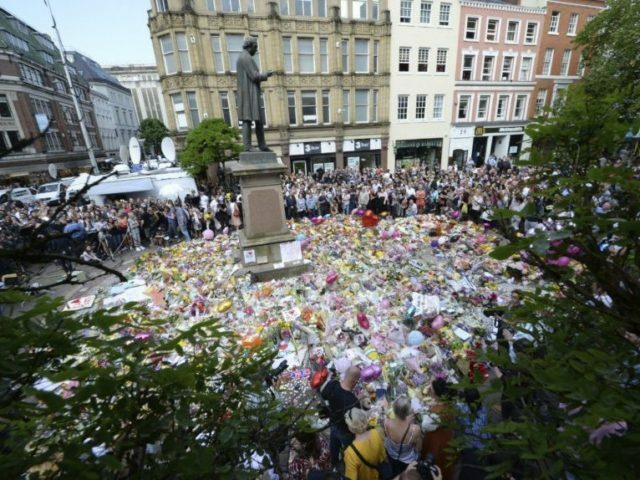 “The perpetrator was not a Muslim, let alone a migrant, but simply a Dutchman,” said a translated statement on the website which published the video. In the United States, critics slammed Trump for giving the group visibility, but largely ignored Trump’s criticism of intolerant Islam. [President Ronald] Reagan had the courage to say to [Soviet leader Mikhail] Gorbachev ‘Tear down this [Berlin] Wall!’ when no-one else dared to challenge the Soviet Union, and Trump is behaving in the same manner… [This] could change the conversation and would bring out in the open the oppression we are not allowed to speak to… [Now] we’re stigmatized and demonized as ‘Islamophobes’ for talking about it. Under the tenures of Presidents George W. Bush and Barack Obama, official policies treated Islamic terrorism as an aberration of Islam, but not part of Islam. 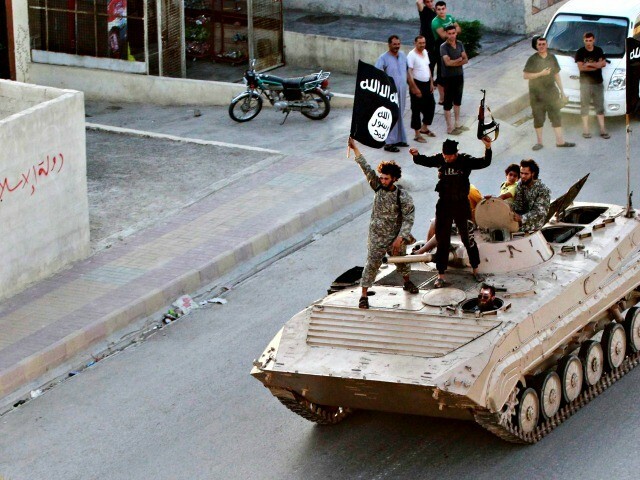 ISIS Islamic militants riding a Soviet-built BMP personnel carrier in Iraq. 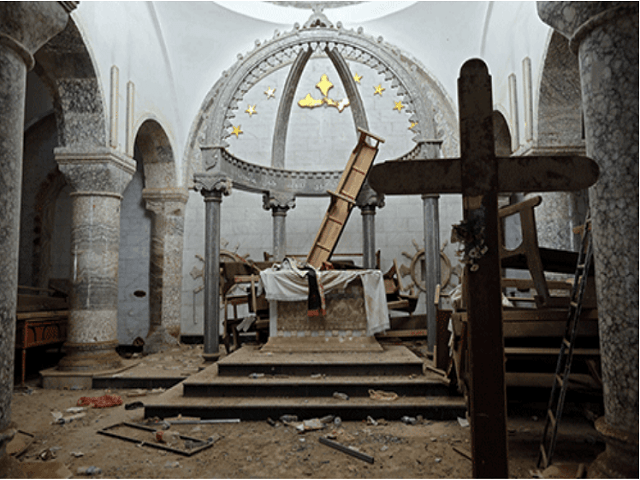 A church in Iraq smashed up by Islamic militants in ISIS. Islamic militants prepare to murder their enemies. 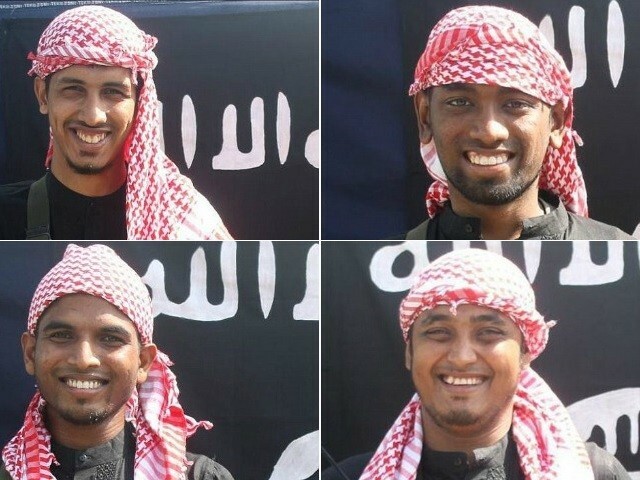 Four militant Muslims from Bangladesh, shortly before they murdered diners at a restaurant. 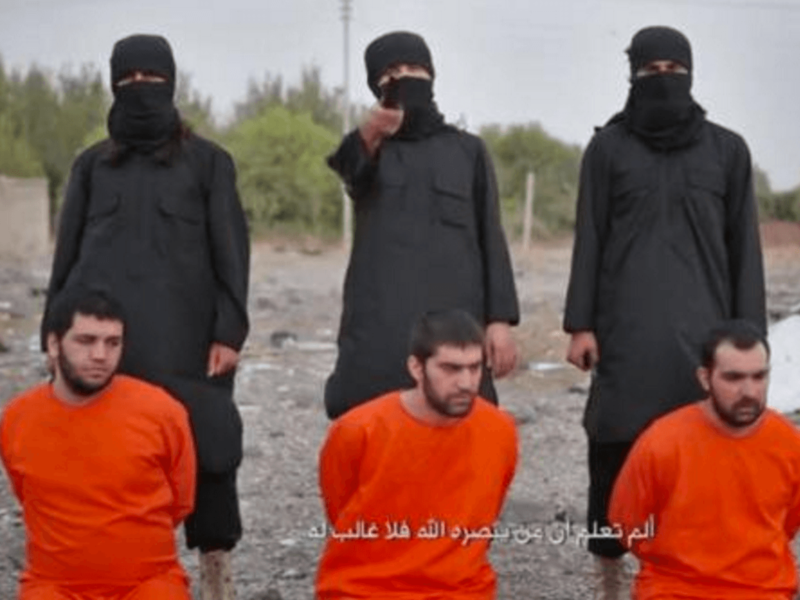 ISIS militants executing a gay man in Fallujah by throwing him off a building. 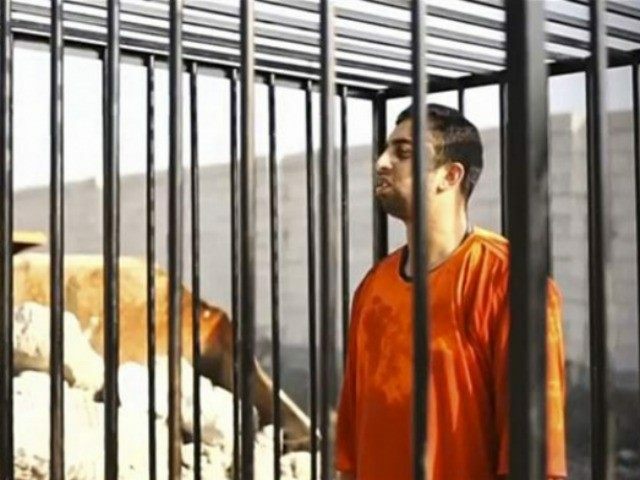 ISIS militants prepared to incinerate an enemy pilot.